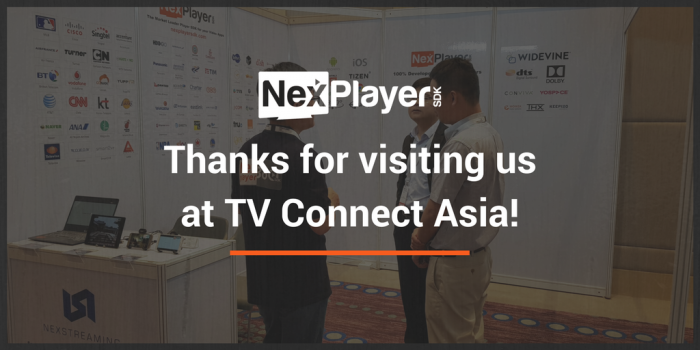 Thanks for visiting us at our booth at the TV Connect Asia in Bangkok. It was a great show and opportunity to reunite with our Asian partners and customers. Our main focus was to showcase our HTML5 Player and Widevine Secure Player. Next stop: TV Connect London 2018 on May 9th & 10th. Come and visit our booth F55 and click here if you would like to schedule a meeting!